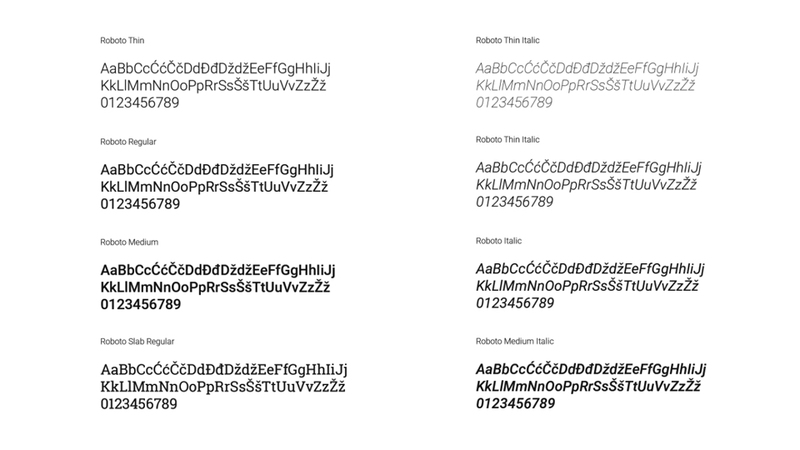 When tradition meets new technologies, a new kind of product swims out. A company founded in 1995., now ran by two brothers has one of the biggest fish farms in Croatia. Their mission? 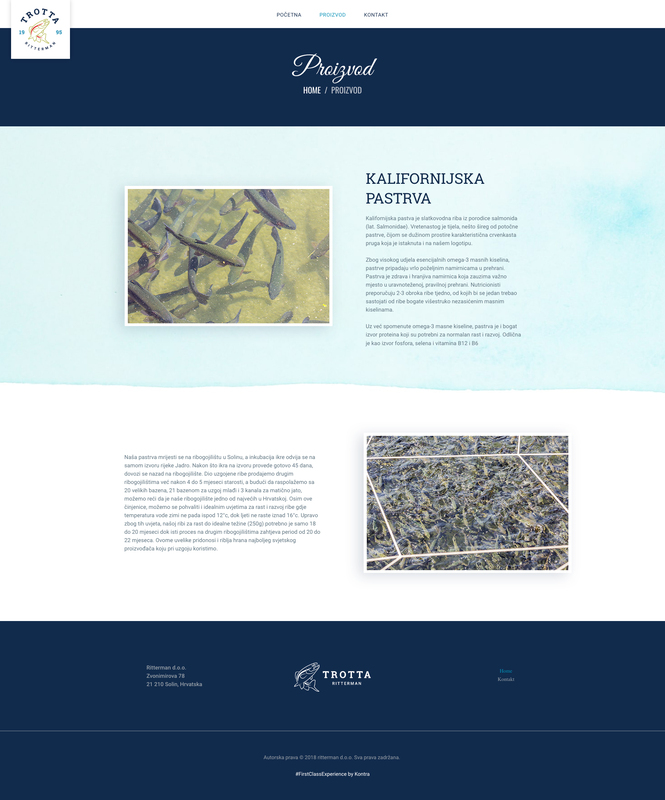 To popularize the use of freshwater trout and caviar in the daily nutrition of an average Croat. Their specialty? Producing the 30% of the total food fish production in Croatia, using the advanced full-system (rotund) way of production. Their product? rainbow trout with a characteristic red line alongside its body. Since there can't be a successful business without the online presence, we've been responsible for putting it out there. 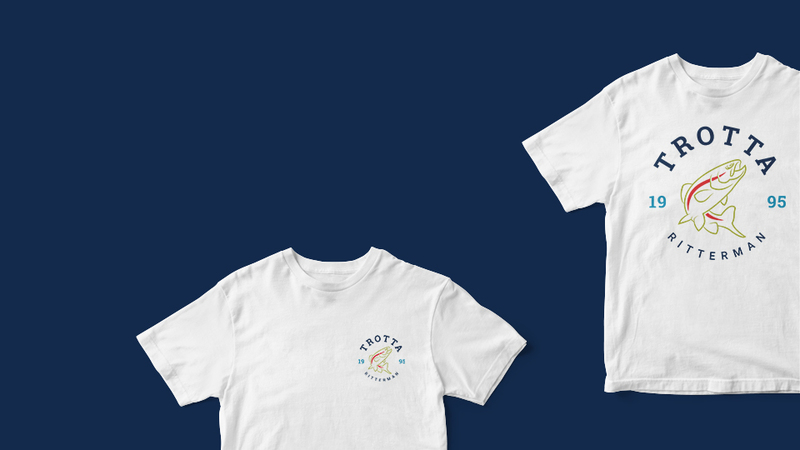 Not only did we needed to create a new website, but we've also had to put our creative brain into motion, creating an entirely new visual appearance from scratch, designing an original logo and building a slogan for the website, among other things crucial for the fabrication of visual identity. The generally underrated freshwater fish in comparison to the saltwater one in Croatia needed a repositioning in the mind and food pyramid of an average person. 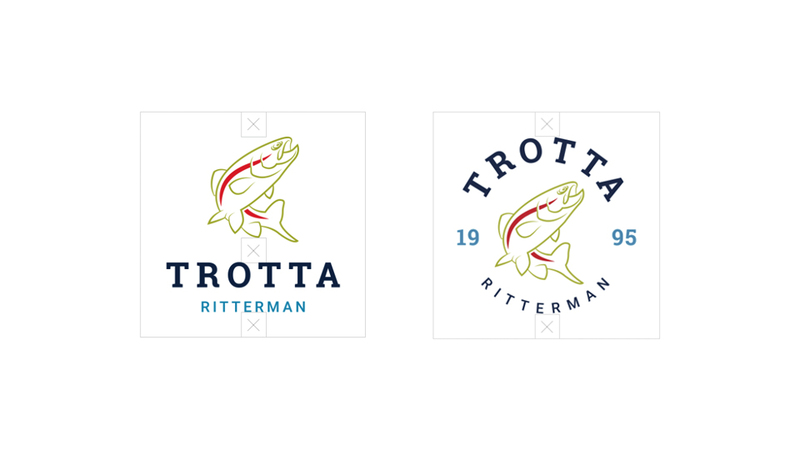 It was our task to present the premium food product that rainbow trout from Trotta Ritterman is, as a good and healthy nutrition choice for everyone, produced in ideal conditions and one of the biggest fish farms in Croatia. The idea behind the logo was simple. We wanted to draft a logo which reflected the two things, tradition, and technology, which, at first sight, might be uncombinable. 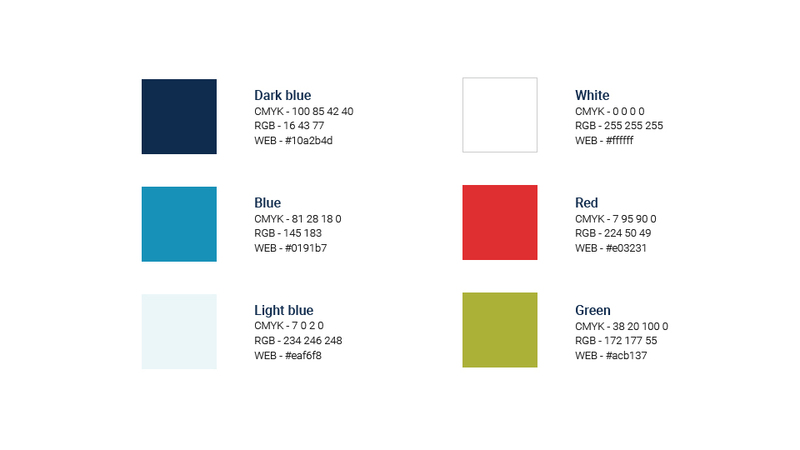 The puzzle was solved by combing the modern font with the "marine" colors. With adding the year of birth into the creation pond, we've added that "tradition" element. 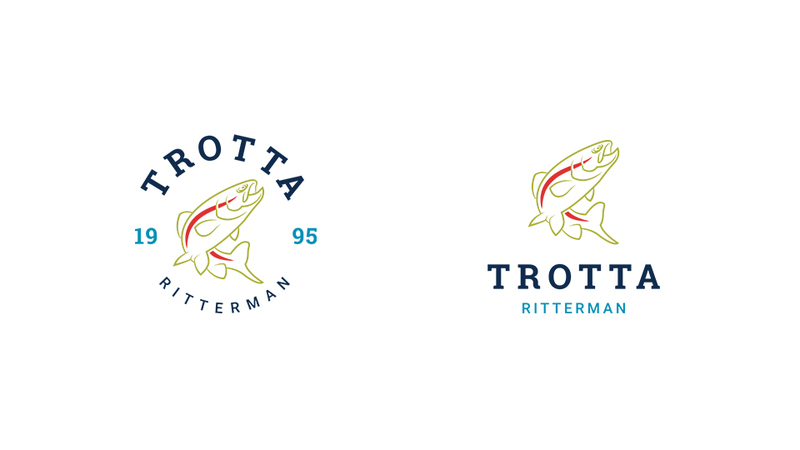 In the completion of the logo, Fortuna was on our side, because of the characteristic red line that draws along the side of every rainbow trout. 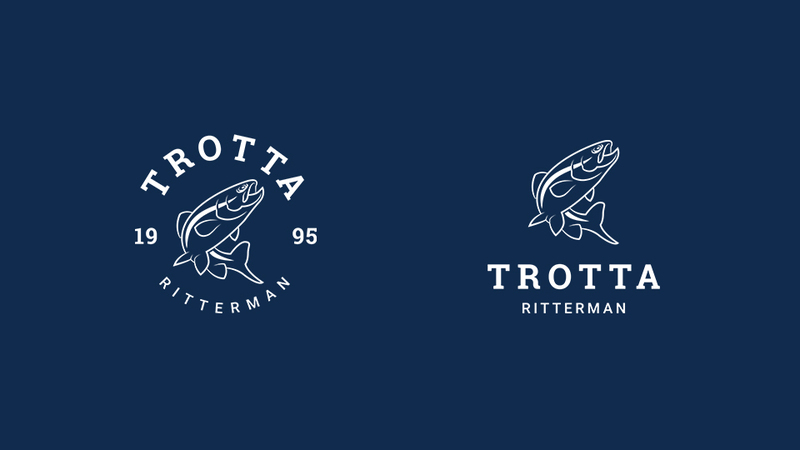 A new, clean and simple website, designed to present the products of the Trotta Ritterman company. 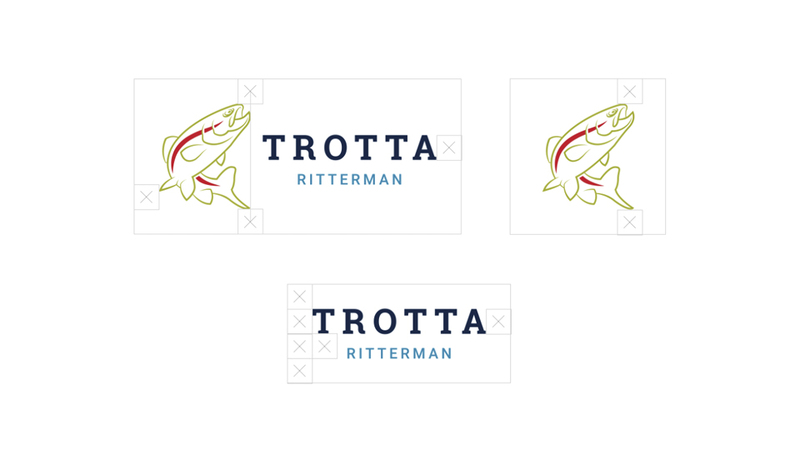 An entirely new logo created from scratch, reflecting the two main strengths of the client, tradition, and technology. Utterly custom-written website content along with the website heading slogan. 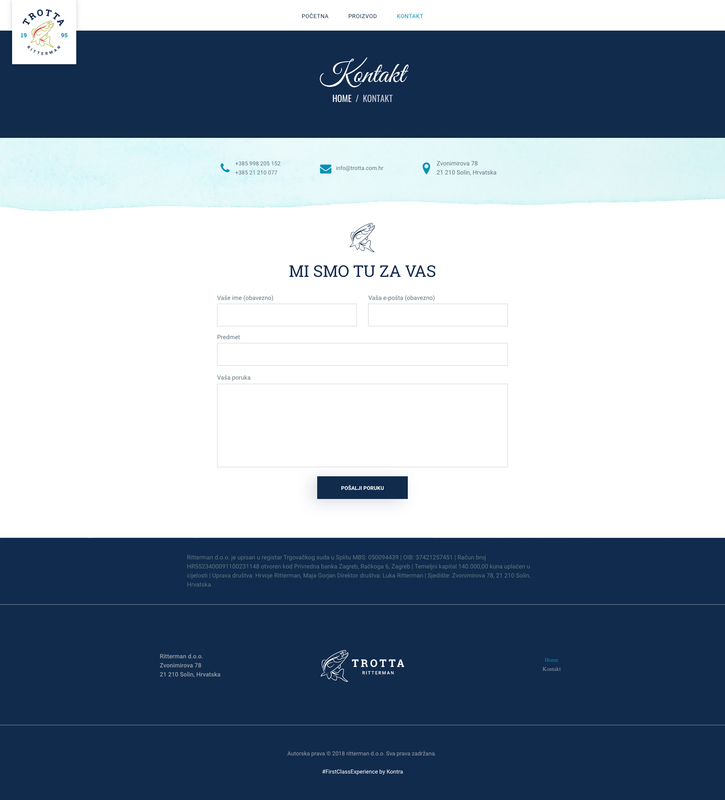 "By choosing Kontra to launch us into digital business world, we got the best quality service. 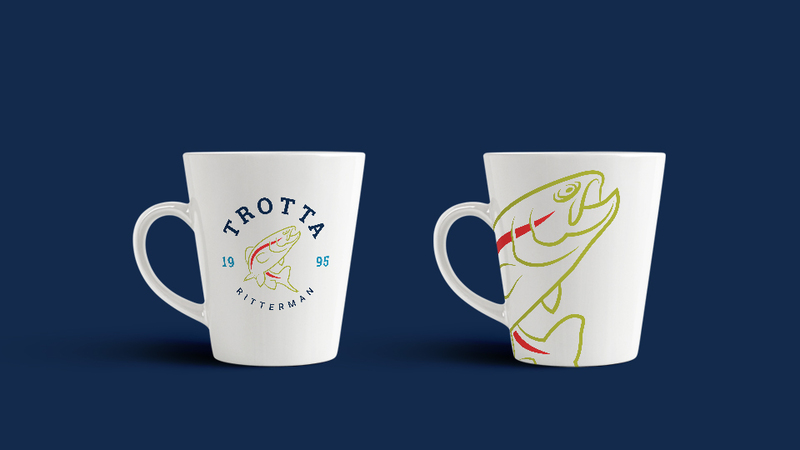 From the beginning they showed professional approach to all stages of project, their advices and help with developing brand Trotta were out of the box. I was impressed with their comprehension on our needs and goals, because we had to combine traditional and modern style, as well to make a change in habits of people eating sea fish only. It was a truly thrilling experience to work with Kontra and I look forward to turn other things around, like marketing."